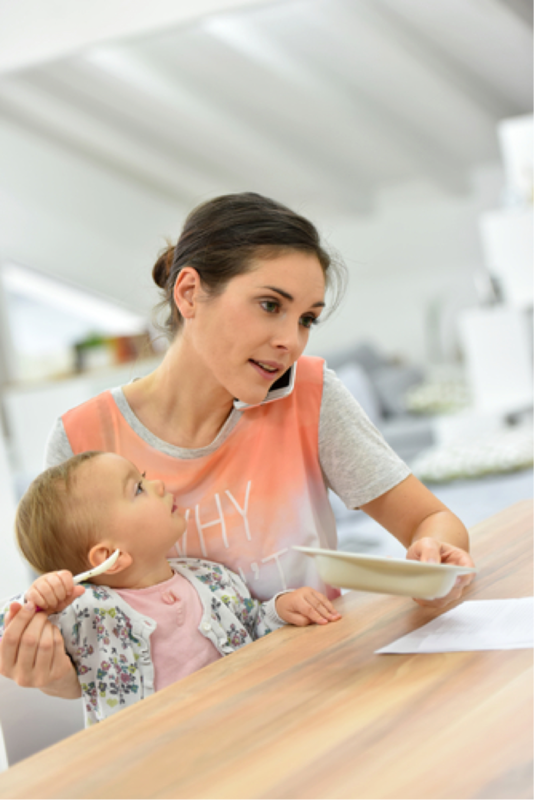 The decision to be a work-at-home mother is becoming more and more common. Although there is a lot of data on the differences between stay-at-home moms and mothers who work out of the house, there is very little on the mom who has found a way to blend the two. The work-at-home mom (WAHM) is on the forefront of a new economic and lifestyle movement. If done right, the WAHM can be an entrepreneur while still making time to do the school run and taking care of her kids. Like the toys that your 16-month-old child uses to learn shapes and fine motor skills, you cannot push the square toy into the round hole. If you think that you will be living a '50s Betty Crocker lifestyle, complete with petticoat and a martini for your significant other, while working and raising a child, you are mistaken. The new mom needs to redefine her environment and that may mean expanding her day and finding novel ways of being mom, worker and romantic partner. As opposed to trying to do two full-time jobs in the span of one workday, your goal is to create a team with both adults and all of the children working together for the success of the family. The term work-at-home mom has two important words in it: work and mom. To be effective, you need to be able to work and be a mom simultaneously. Keep in mind, your choice to work while parenting is more than economic. You are modeling behaviors that will help you children with their education and overall income in the future. There is a huge amount of highbrow writing that comes down to one simple WAHM fact: your child is going to play with your work tools, so you better be prepared. Make sure that your smartphone is impact- and water-resistant like the Galaxy S7. Use safeholds for computers, tablets and calculators as well. Create a space for your child to mimic your behavior. It is good for the child and gives you some time to work while your little one plays. Being a WAHM can get lonely, depending on the type of work you do. The daily routine of balancing typing on a computer with feeding and nurturing a child does not leave much opportunity for social interaction. This is where social media can help. Studies on Internet usage by mothers show that they use web-based social sites as outlets for social communication that would not be available otherwise. To keep yourself sane, hop onto Facebook and give yourself a much needed moment of venting and reconnecting. Having your day planned out helps on multiple levels. As a mom, you know your child thrives under a schedule. Children feel safe knowing that certain basic needs will be taken care of at a specific time of the day. From an entrepreneurial point-of-view, a schedule helps you manage your workload, much like a business plan does. It helps you predict your deliverable output while helping you maintain a healthy work-home balance. Do not forget to schedule “me time” and partner time since these are also crucial to the happiness of you and your family. Thanks for this guide. Scheduling every task onhand is important. I agree! Scheduling is indeed a must when you are a work at home mom and following that schedule is crucial. Those are great tips for SAHMs and even to working moms with small kids to take care of. I wish I have the "luxury" of spending more time at home with my family rather than being in a cubicle, 8.5 hours in a day for a week. That's taxing. I'd rather stay home and tend to my family's needs. I could agree more on this article, working at home is more convenient if you have kids to attend too, but it really doesn't work for everyone. Especially those who doesn't have a hand to help with their little one. I have been a SAHM until recently when opportunity knocks to work outside. Good thing my schedules works perfectly when the kids are in school their Mommy is working and when they gets home, am home too.